As an MCC member, you and your guests are able to enjoy lunch Monday to Friday in the inner sanctum of the MCC Committee Room. In the heart of the Members Reserve, the Committee Room features spectacular views towards the hallowed turf and an exceptional range of paintings, photographs and iconic elements depicting the MCG’s long and proud history. 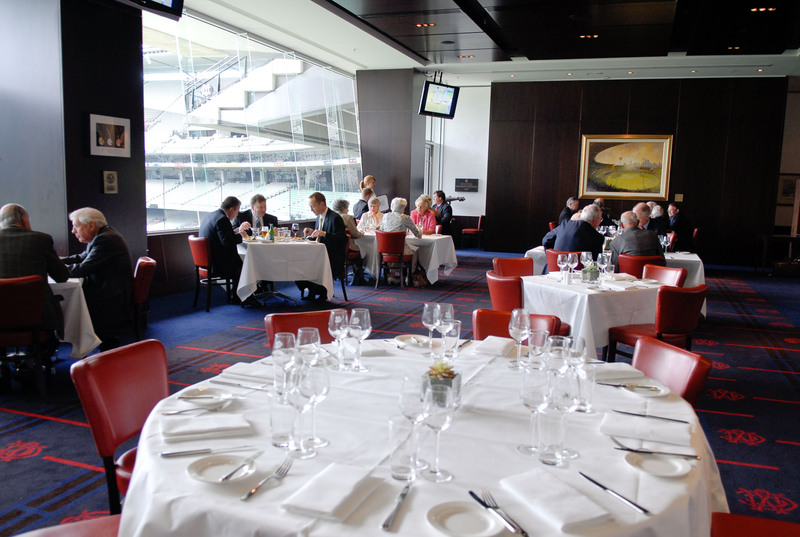 So next time you are looking for a place to lunch, come and enjoy the surrounds of the magical MCG accompanied by only the best food, wines and service. For bookings, please call the club on (03) 9657 8888 between 9.00am and 5.00pm, Monday to Friday. - Cancellations must be made prior to 10.00am on the day of the booking by phone (03) 9657 8888. - If this cancellation is not made, a $20 per head "no show" fee will apply for members and/or guests who do not turn up. - The club’s Long Room/Members Dining Room dress standards will apply in the Committee Room.